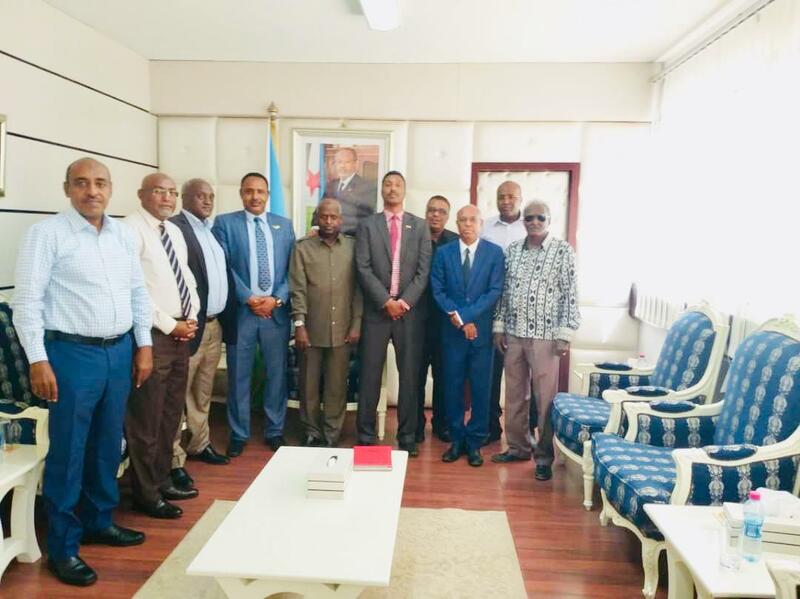 DJIBOUTI–A ministerial level delegation from Somaliland headed by the defense minister, Mr. Isse Ahmed Yusuf aka “Xawar” and is accompanied by the planning minister, Mr. Awale Ibrahim who have been on working visit to Djibouti has on Wednesday met with Djibouti Prime Minister, Mr. Abdikadir Mohamed Kamil and was in attendance by Djibouti’s ministers of water resources and minister in charge of youth and sports. 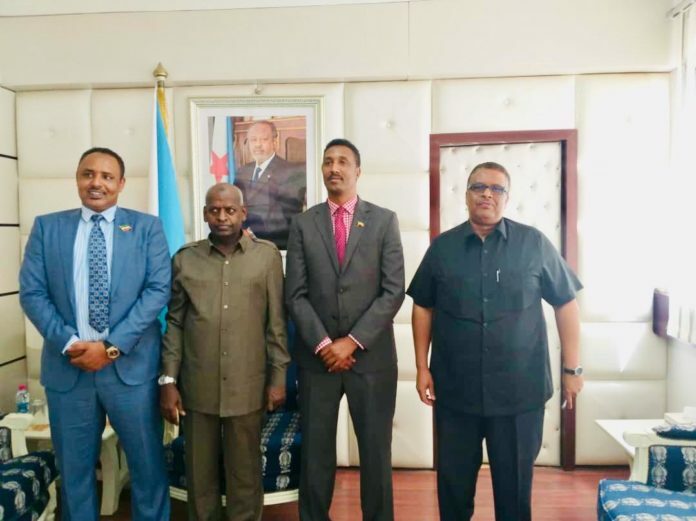 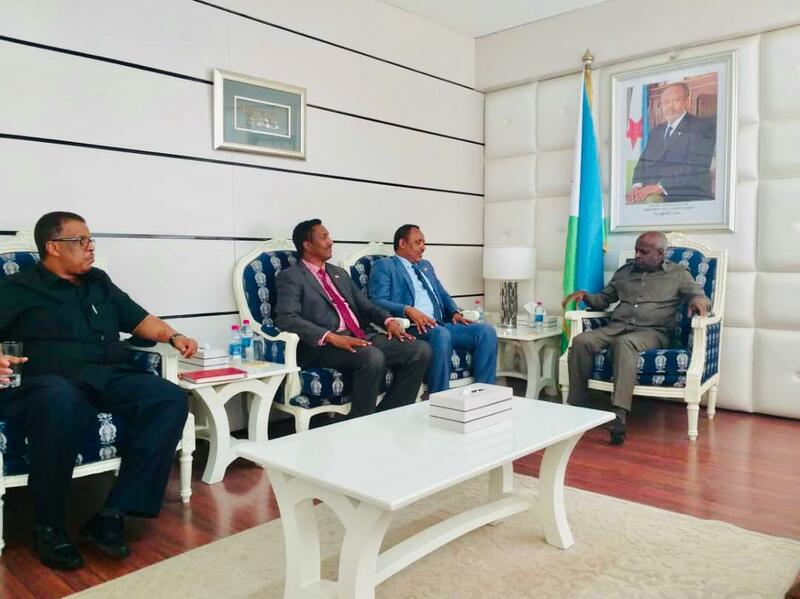 The discussions held between the two sides were aimed at enhancing the cooperation in the areas of security and boosting the bilateral ties between Djibouti and Somaliland. 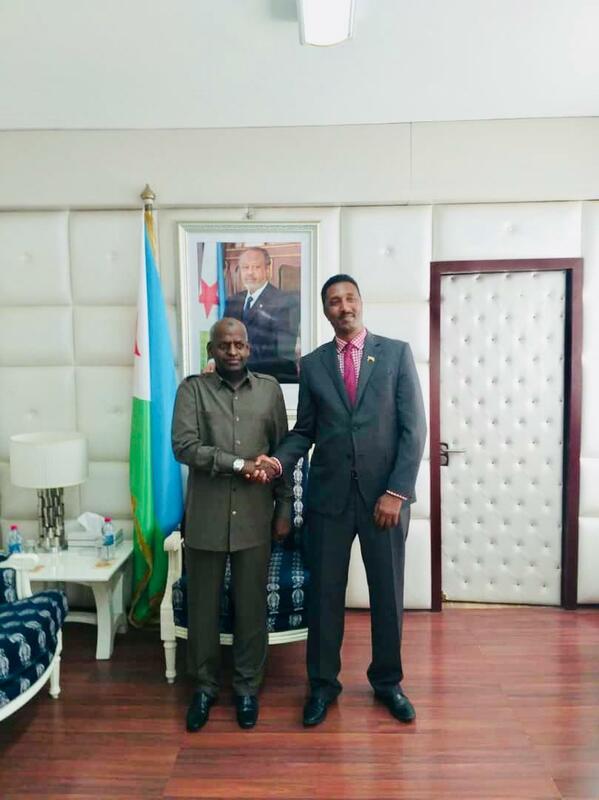 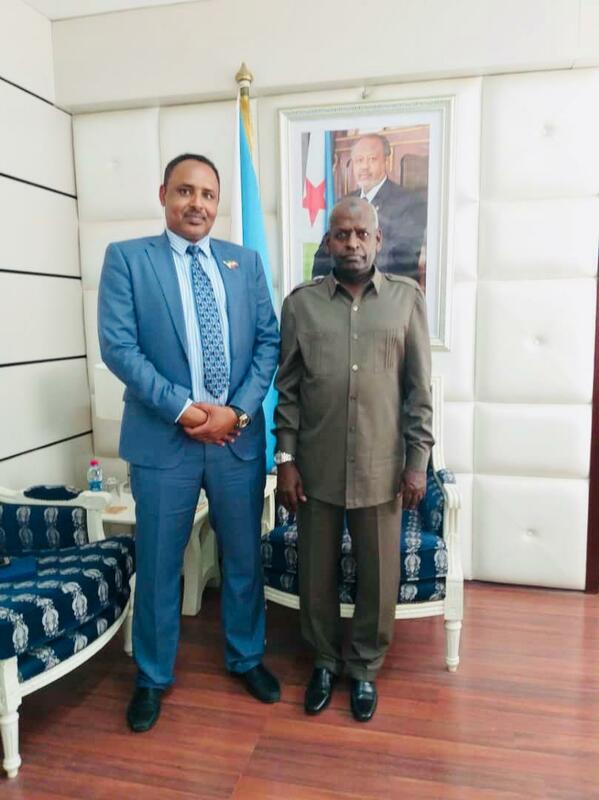 The meeting took place at the office of Djibouti’s Prime Minister.